I just joined the Character Design Challenge group on facebook. It is a fantastic source of reference for character designers. I love character design and I look to learn as much as I can in the field. This will be an amazing group to be a part of and I am sure I will learn a lot. 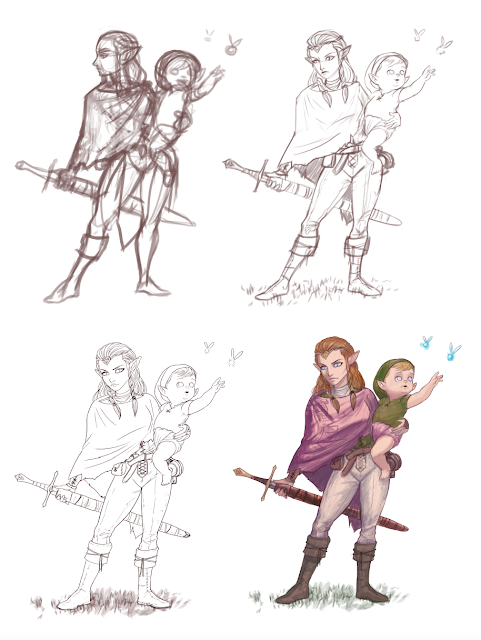 Their topic right now is based on redesigning The Legend of Zelda characters. I decided to redesign the princess. I was inspired by the Lone Wolf and Cub concept. I haven't seen the movie or read the story but I thought it would be appropriate. I envision Zelda like a wondering lone warrior. 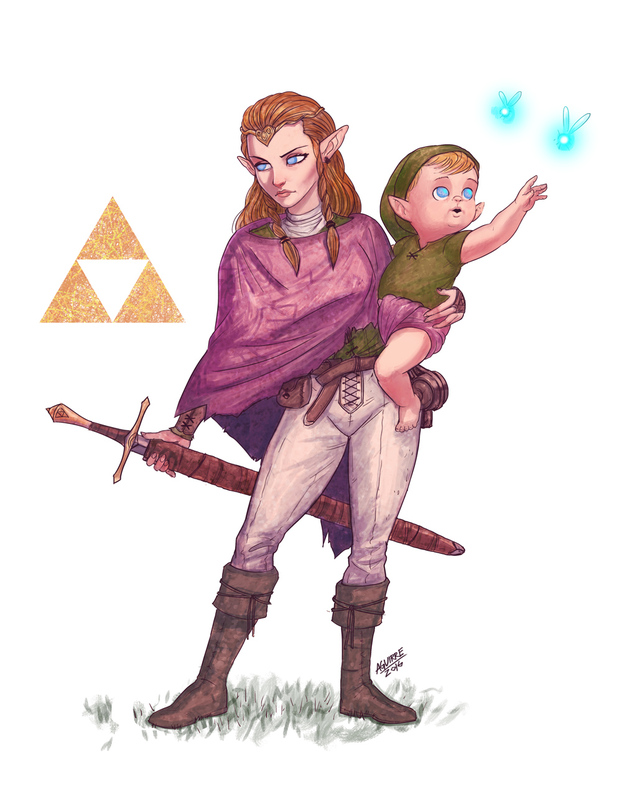 She stumbles upon this abandoned baby (Link) on the road and for reasons even unknown to her, decides to take care of him. I also wanted to play on the idea or concept of the "legend" of Zelda. There are stories about this famous warrior. I want to learn more about her. I envisioned a great fighter but one that still has motherly instincts. Like Cool Runnings says - A badass mother. I had loads of fun working on it. Hope you like it.